In ‘Binary Tension’, the net is fragmenting under pressure from antagonistic forces. Two adjacent voids open up in a struggle set in illogical space and a background reminiscent of sky or seascape. 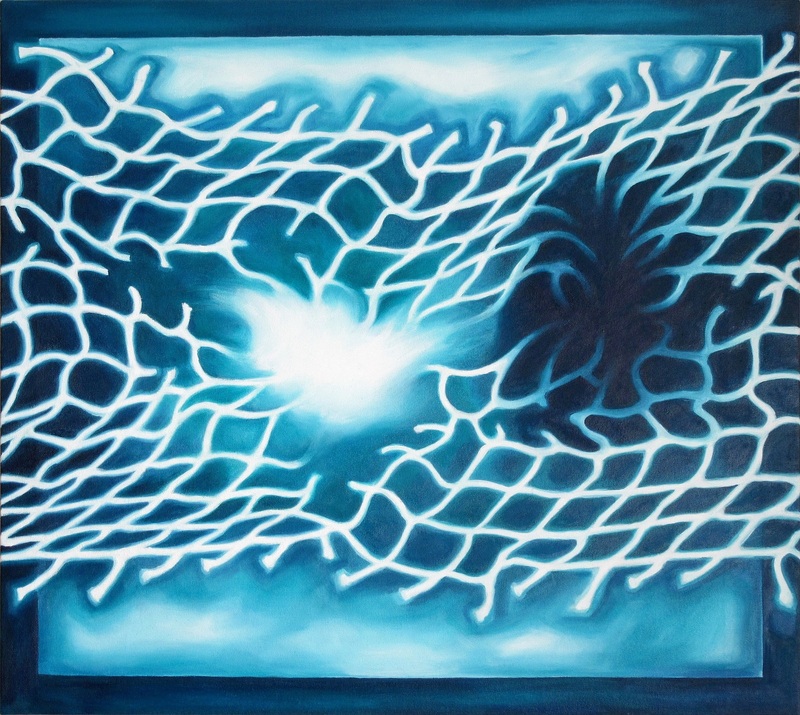 The net’s potential continuation past the painted illusory canvas frame happens in the viewer’s mind.